This April, Penn State students took on a new initiative to tackle hunger in the State College and surrounding communities. Becca Lerman, Penn State senior and president of Rebuild-U, is heading the initiative! 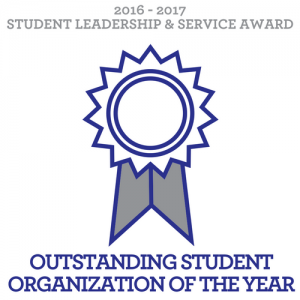 Throughout Becca’s time at Penn State, she has been actively involved in social justice work across campus and in the community. Most recently, Becca founded Rebuild-U, a group focused on developing personal connections through hands-on service. Rebuild-U reaches out to those in need and actively engages the community by utilizing Jewish values such as tikkun olam, repairing our world, to make a difference in the lives of others. In addition, Becca has played a key role in organizing Penn State Hillel’s alternative break trip to Roatan, Honduras. With her passion for social justice and tikkun olam, Becca has inspired so many students to create change both locally and globally. As she prepares for graduation this May, Becca will leave her beloved Penn State and State College community with the gift of giving: Little Pantries. Becca: My mom inspired this idea. Last summer, while on a stroll her hometown of Pittsburgh, Becca discovered the Little Free Library, an organization that builds and places weatherproof boxes to be used for the free exchange of books. With a successful first year of Rebuild-U and social justice on her mind, Becca found a new inspiration in the Little Free Library. After a lot of brainstorming and research, Becca decided to bring Little Pantries to State College. Similar to Little Free Library, Little Pantries builds, places, and fills weatherproof pantries full of non-perishable foods for neighbors in need of food. Becca: It started at the beginning of the school year. With some great and supportive people, we formed a small committee to further the project. 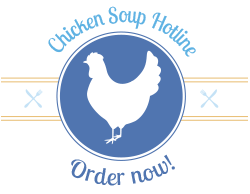 We’ve recently set up two locations in State College but stay on the lookout for more coming soon! Becca: My favorite part about the project is that it is an joint initiative between the community and students. People of all backgrounds have together with the goal of fighting hunger. Through this project we hope to ignite conversation around hunger and educate people on how to create change right in their own communities. 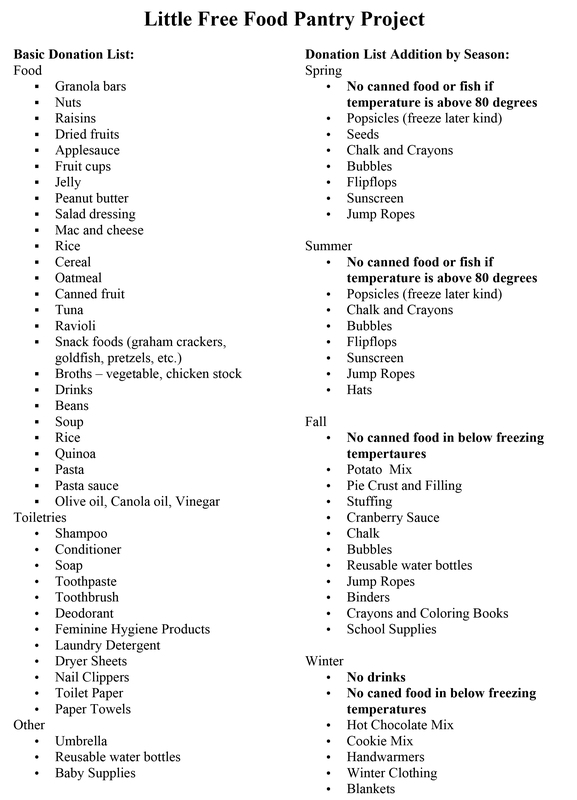 We are currently working with local girl scouts, elementary schools, churches, Skills Program, and community members to advocate for the cause and to replenish and check our pantries. Student organizations such as Lion’s Pantry and Rebuild-U have also helped to create, implement, and sustain the project Lion’s Pantry has agreed to donate twice a month to assist in replenishing the pantries. Each group shares a similar mission of engaging the community through hands-on services projects that directly impact those in need. Becca: The most important thing to recognize is that the homeless population isn’t the only population who’s in need of food. There’s a lot of people who have a place to live but might not always have means to provide a healthy and fulfilling meal. 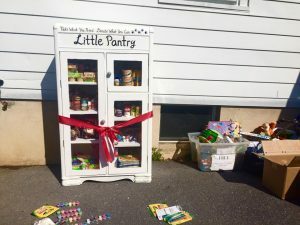 The Little Pantry provides an anonymous way to both take and give. 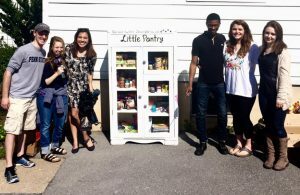 The power of ‘Little Pantry’ is being able to be selfless with others in a quiet way and know that you are making a difference.